Do you like Bread Delicious? Share it with your friends. 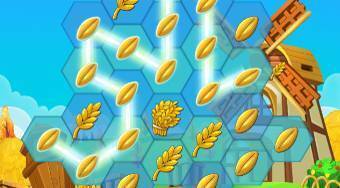 Bread Delicious is a great logic game in which a large portion of different levels is prepared for you. In each round, your task will be to associate at least three of the same kinds of raw materials and try to collect the required quantity of certain raw materials needed to produce bread before the time runs out.